Smartphone, one of major factors for the growth of country’s economy from various aspects, has now become as equivalent as a household item. A must-have device that keeps us connected with the world, after seeing a booming decade has now started seeing storms coming on their way. Many national and largely international smartphone companies feel that the industry has become extremely competitive and will continue to be in the coming years. These companies include giant smartphone markers like Sony and LG etc. Recently Japan's smartphone maker Sony and Korean electronics giant LG have decided to scale down their presence in the large-volume entry smartphone market in India. Facing tough competition from Chinese and local vendors, their market share in the smartphone category has slipped to record lows - LG at 0.4% and Sony at 1.5%. India is known for its diversified local retail market. Local manufacturers today competes in almost every segment be it food, fashion, consumer durables or technology. The only hurdle for a local brand is to convince users that the quality they provide is at par with international brands providing them the most bangs for their buck. Chinese smartphone brands such as Xiaomi or One Plus etc. which provides value for money is another reason threatening the current market leaders. 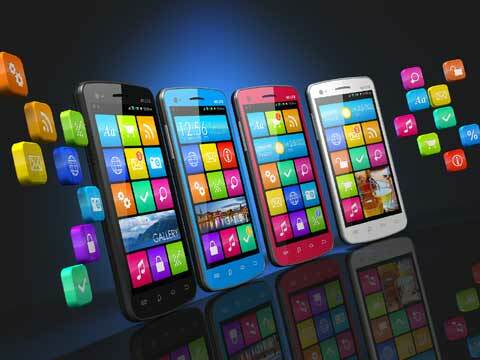 These Chinese smartphones offers high value smartphones at a very low cost. India is no doubt a price sensitive market. Be it tier I cities or III, consumers first look at the price then the product and China has played the game very well here! Though Chinese brands come at a very low cost but the only drawback is its durability. Chinese products across the world are known for its flaw when it’s comes to durability. Capitalising on this, large scale domestic brand such as Micromax, Lava and Spice are killing the rest for international players. Micromax has given a very tough competition to big boys such as Samsung and LG. The domestic smartphone market scaled by 20% in 2015 and accounted for sales of nearly 100 million units. While leaders Samsung and Micromax maintained their positions, brands like Sony and LG could not find much grip and their share almost dipped to half. As per a research connected by both IDC and CyberMedia Research, LG's share in 2014 was nearly 1%, while Sony was between 3.5% and 4%. Though Apple and Samsung still holds grip in the metro cities of the country, but competition starts beyond that. Small cities and villages where people have just started tasting the flavour of smartphone, these local vendors are aggressively tapping the opportunity there. Now it will be interesting to see whether these big giants will tighten their grip or the urban market will all be consumed by local vendors.